Alloc Laminate Flooring combines beauty, style, and durability in an easy to install, affordable package.Alloc Laminate Flooring allows you to express your style with their fashionable lines of laminate flooring. Whether it is the look of hardwood flooring that encompasses the look and feel of real hand-scraped wood, etched ceramic or stone, Alloc Laminate Flooring can help make your vision a reality. 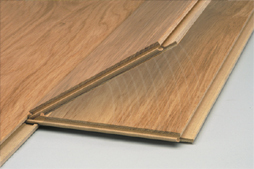 With Alloc's aluminum locking system, it is easy to install Alloc Laminate Flooring, and even easier to maintain. Alloc Laminate Flooring is made of a high-density fiberboard core which stands up to heavy pressure, and its durable melamine surface resists damage from heavy foot traffic. 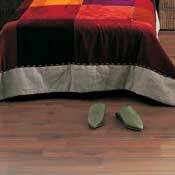 The plank edges are impregnated with wax for excellent moisture resistance. 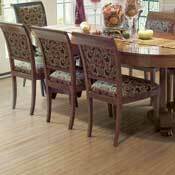 The patented integral locking system provides a strong, tight hold on this beautiful flooring (670 lbs. per linear foot). 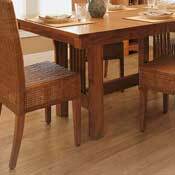 Alloc Home Flooring installs with ease. The Alloc locking system ensures tight, durable seams. The patented fiberboard locking system provides a strong, tight hold on this beautiful flooring and since you don’t have to wait for glue to dry, Alloc installs twice as fast as glued laminates and can be used immediately. 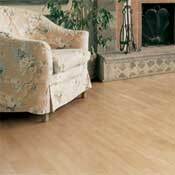 Alloc flooring is suitable for interior residential applications. Recommended applications or installations include kitchens, family rooms, living rooms, dining rooms, foyers, hallways, bedrooms, game rooms, bathrooms and recreation rooms. 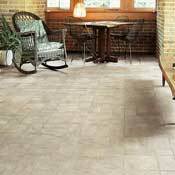 Alloc is not recommended for installation in rooms with in-floor drainage, commercial kitchens, or similar areas. 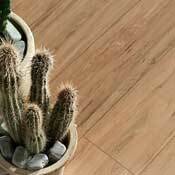 Alloc’s laminate surface provides a great-looking, durable floor that’s easy to care for. Just vacuum or sweep your Alloc floor periodically. To maintain your floor’s beauty, put doormats inside the entrances to your home and place floor protectors under furniture legs to prevent scratches. No further treatment of the surface is required. 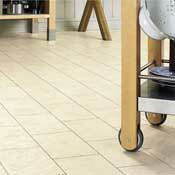 Do not apply floor polishes, detergents, soaps or waxes to your Alloc flooring. The residue from these agents may be harmful to your floor. 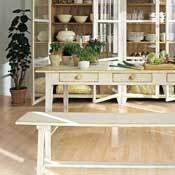 Difficult stains such as ink, shoe polish and paint can be removed by applying a small amount of acetone or denatured alcohol to a clean, white cloth and blotting the stain. Always follow the safety procedures recommended by the manufacturers of these chemicals. 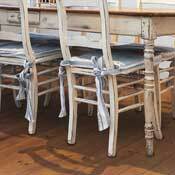 Never use scouring pads or steel wool to clean your floor.